When you think of American history, the cities of Philadelphia and Boston come to mind. Washington, D.C. and Williamsburg, Virginia are always known for their popular history. We've all known how the Borough of Manhattan is saturated in American History as well. But Brooklyn has more than her own place in the story of America. 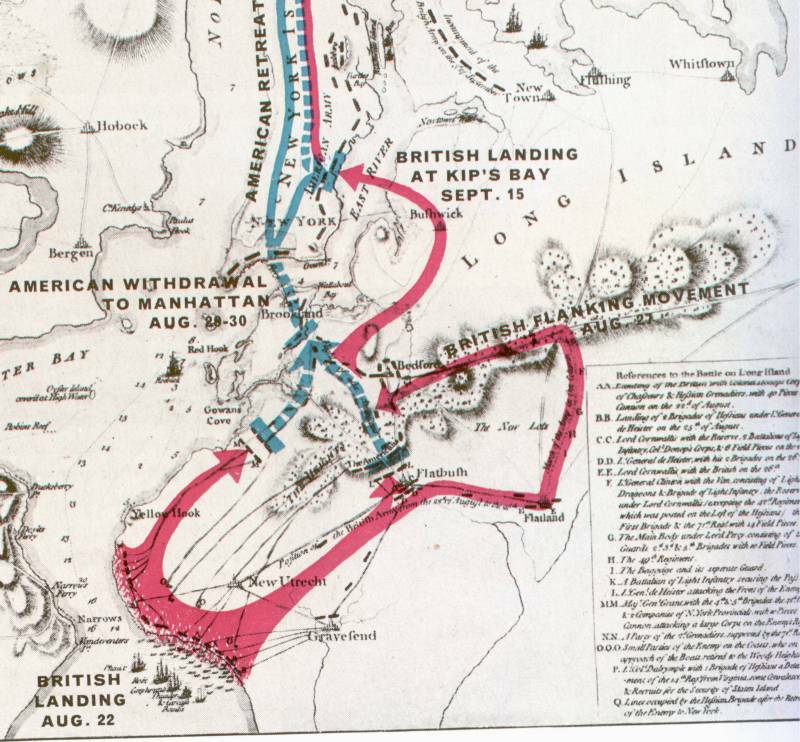 The first major campaign between The Continental Army and His Majesty's Royal Army happened in Brooklyn, U.S.A. It is here where important historical landmarks resulted from The Battle of Brooklyn in Flatbush and Brooklyn Heights. Up until July of 1776, there were many English sympathizers, even within the Continental Congress. Many felt that it was Parliament which was causing our troubles with the Motherland. The King was expected to eventually intercede on our behalf. It’s hard for us to imagine in today's world, but during the 18th century which marked the end of the Middle Ages and the Renaissance, the small man looked to the King as his protector and the King was considered benevolent. It was Parliament run by small minded feudal Lords, and their inherent corruption and politics which people feared. As such, the thought that the King would intercede on behalf of the Colonies with the British Parliament was not a far fetched idea. At least not in America. Washington's Army in the moment of withdrawal was in deadly peril. John Glover was a leader of a brigade called the Marbleheaders. They were seamen by trade, and along with the Massachusetts 27th regiment lead by Israel Hutchinson they rowed the Continental Army and their equipment, in complete silence across the East River. One British Military critic had said, “Those who are best aquainted with the difficulty, the embarrassment, noise and tumult which attend even by day, and with no enemy at hand, a movement of this nature...will be the first to acknowledge that this retreat should hold a high place among military transactions. While Washington's misjudgment put the Army in extreme danger, on the strength of his leadership he was able to save the force. When the British arrived at Brooklyn Heights that next morning, they found nothing more than some rusted buckets.